The David Gareji Monastery is a rock-hewn Georgian Orthodox monastery complex located in the Kakheti region of Eastern Georgia, on the half-desert slopes of Mount Gareja, some 60–70 km southeast of Georgia's capital Tbilisi. The complex includes hundreds of cells, churches, chapels, refectories and living quarters hollowed out of the rock. The area is also home to protected animal species and evidence of some of the oldest human habitations in the area. The Monastery Complex of David Gareji occupies a special place among the numerous cultural monuments of Georgian feudal time by its majesty and historical value. 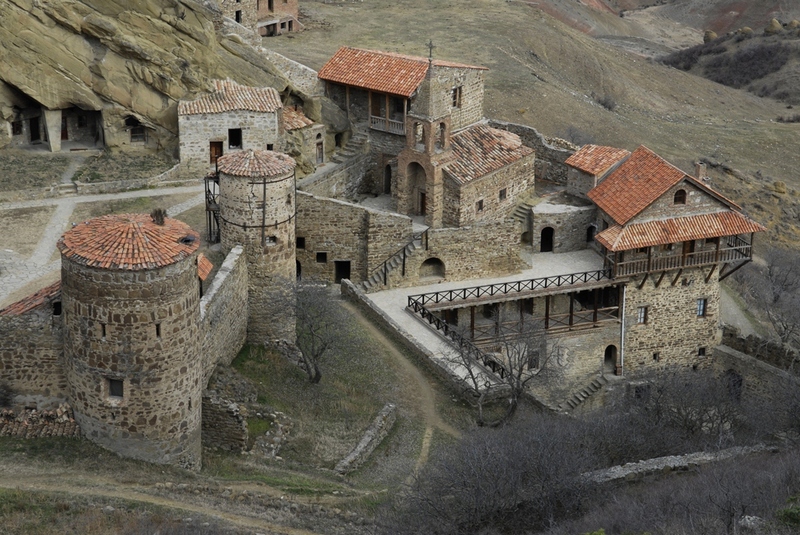 The part of the complex is located outside of Kakheti, in Gareji Rocky Mountains and stretches on 25 kilometers. Even today, Gareja surprises visitors by its construction and wall paintings of a high artistic level. According to literal sources, David - one of the thirteen Assyrian Fathers, founded the monastery in the first half of the 6th century. 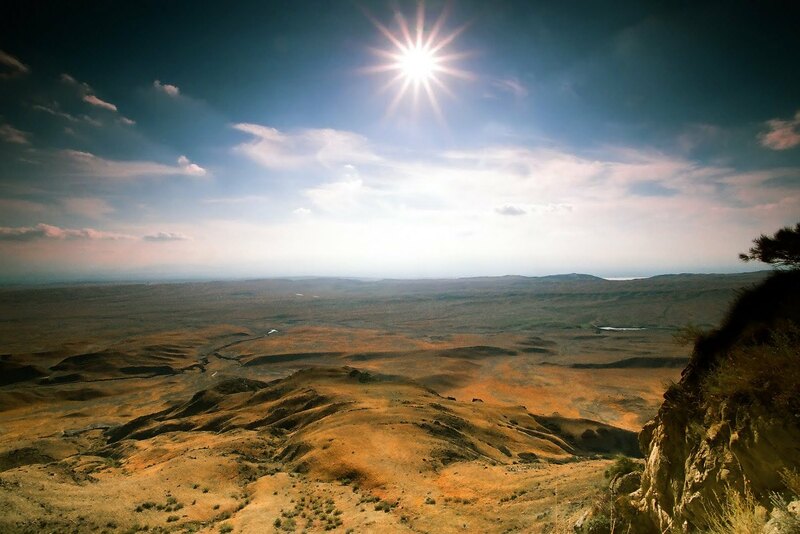 David had settled in the natural cave in Gareji desert, where he founded the first monastery that today is famous under the name David's Larva. In the same century, David's disciples and followers Dodo and Lukiane erected two more cloisters: Dodo's Rka and the Monastery of John the Baptist. In the beginning of 12th century the David Gareja Monastery became a royal property and was released from state taxes. In 1265, Mongol array, under the command of Berka-Kaen, destroyed David Gareji and its surroundings. Soon, in the first half of 14th century, during the time of George the Magnificent, David Gareji became a strong political and economic force. The priests of the monastery participated in royal hall business and ecclesiastical administration of the country and the rich fund of manuscripts is still preserved there. 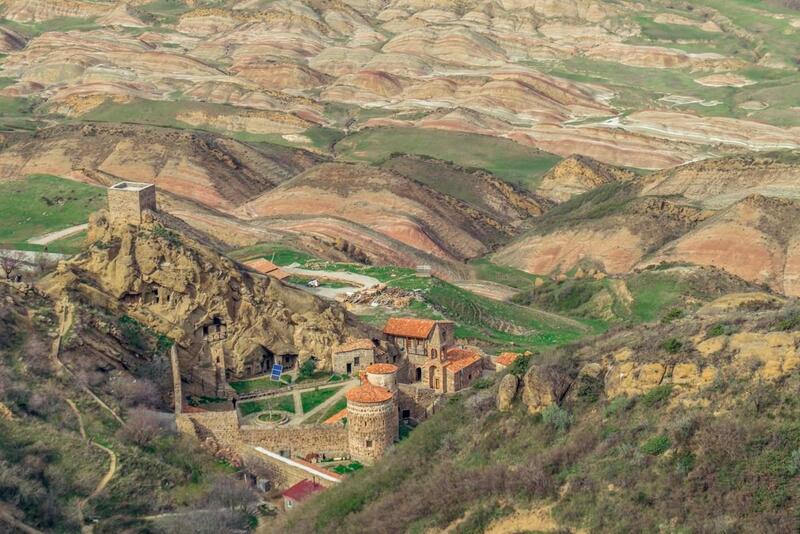 The peak of the construction of the David Gareja Monastery was achieved during the time of national and cultural-political rise, in 12th-13th centuries when the new monasteries were built: Udabno, Bertubani and Chichkhituri. The private art school of fresco painting functioned in the Udabno monastery and David Gareji elaborated the private rules of building and monastery life. Gareji art school represents one of the most significant events in the cultural life of medieval Georgia. Gareji frescos preserved the portraits of historical figures: David the Builder, Demetre I and Lasha-George. 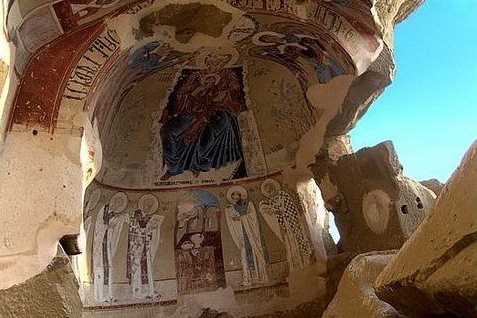 The Bertubani Monastery has conserved other interesting frescos as well which date back to 1212 - 1213. On the wall of the main temple of Bertubani Monastery, the Virgin and youth are depicted together on the throne. This kind of iconography was broadly spread in the Christian East. On the lower part of the altar, you can notice Byzantine St. Fathers - Basil Caesar and John Okropiri together with other priests. They hold dishes for liturgy purpose. This fresco depicts a refectory theme, formed in the second half of the 12th century in Byzantine. The topic was widely spread in Greece and Balkan but not in eastern countries. The picture from the life of David Gareji, ‘Lukiane - milking deer’ represents the peak of the artistic development of Gareji School. 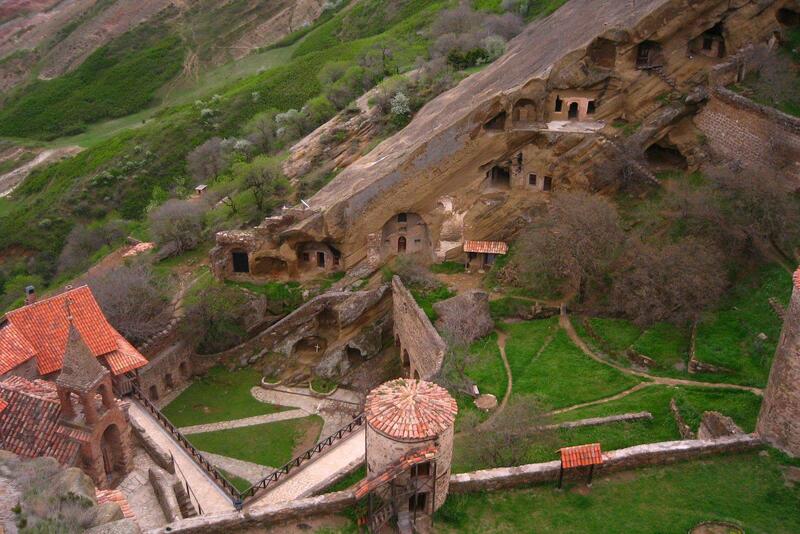 David Gareji monasteries of 12th-13th centuries differ very much from the monasteries of earlier period. Instead of earlier simplicity of main churches and refectories, you can notice the greatness and majesty here. David Gareji's art pays especial attention to Ktitors' numerous images, among which are portraits of kings. Ktitors' portraits much exceed the images of religious characters. The fact represents the proof of the independence of Georgian masters from Byzantine art schemes. We recommend to wear sports shoes.